Give your horse the freedom and protection it needs. 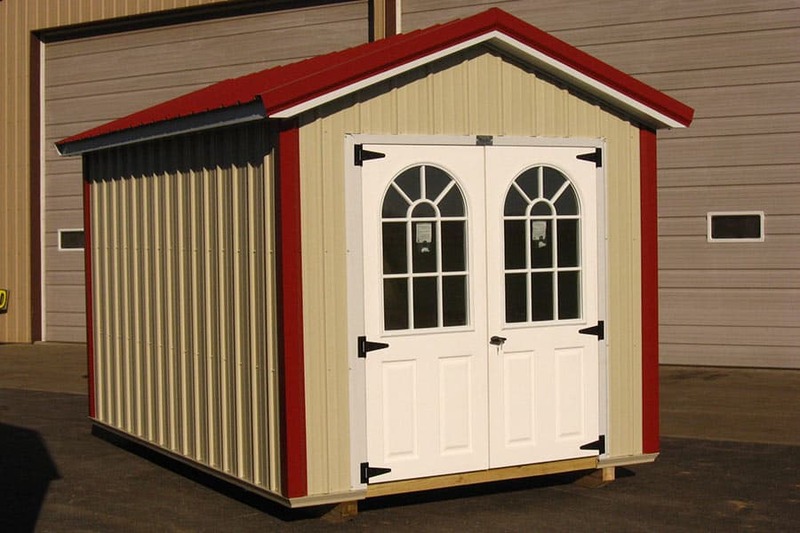 Are You Looking for a Simple, Affordable and Durable Building? As a horse lover, you always have your horses’ good in mind. 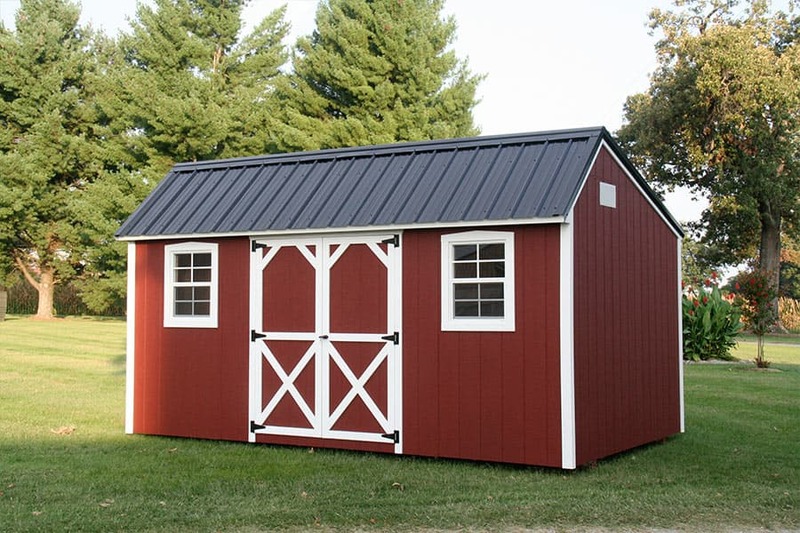 Does your horse need a horse run-in shed? Let us count the ways! 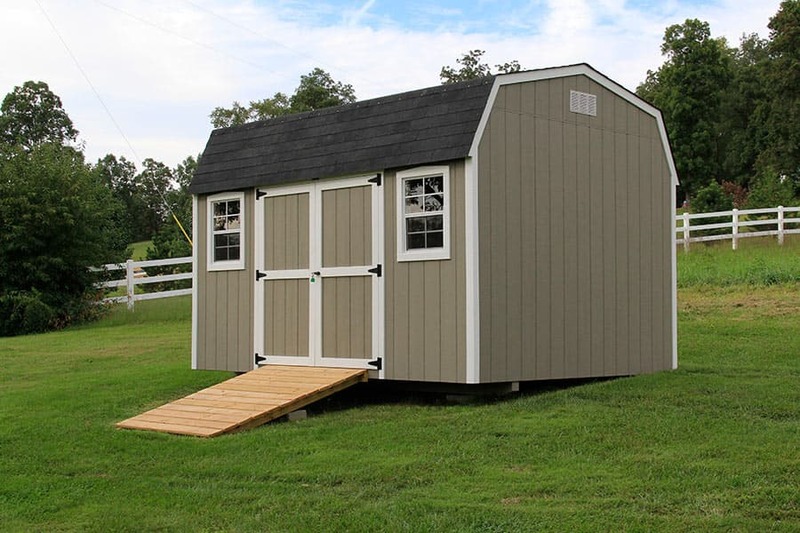 Not only can a run-in shed provide convenient shelter for your horse, you can also combine it with much needed storage for your food, tack, and supplies. 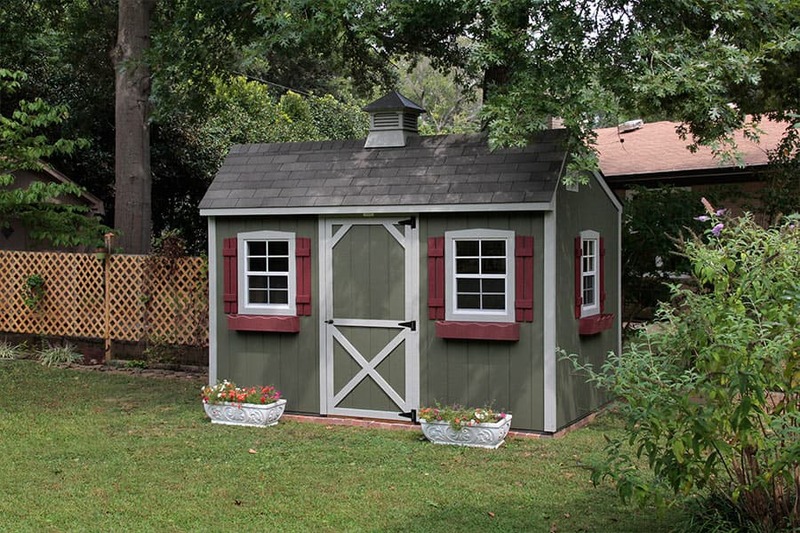 First things first: what is a run-in shed? Usually, it’s a small three-sided building where pastured horses can find shelter from the weather. Your horse can choose to be inside or out at will, which is great when stormy weather arrives! 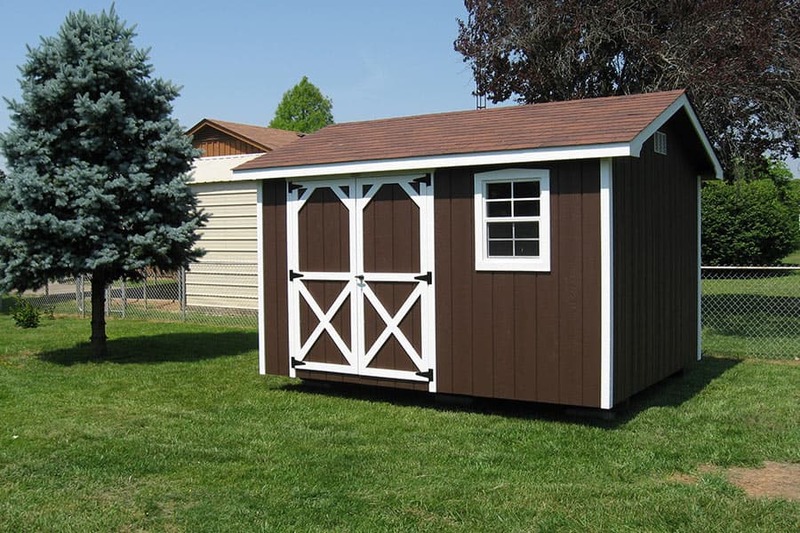 Whether you have one horse or many, we can meet your needs with a custom-built horse run in shed. What makes a run-in such a perfect solution for your hourse? Let’s explore this question together! This may seem obvious, and we’ve all seen a perfectly contented horse standing out in the pasture in pouring rain. An uninitiated person may think, “Poor horse, he can’t get inside out of the rain!” When the truth may be, just around the corner is an open barn door. I’ve even heard of calls to the local SPCA in cases where someone thought the animal was being neglected. 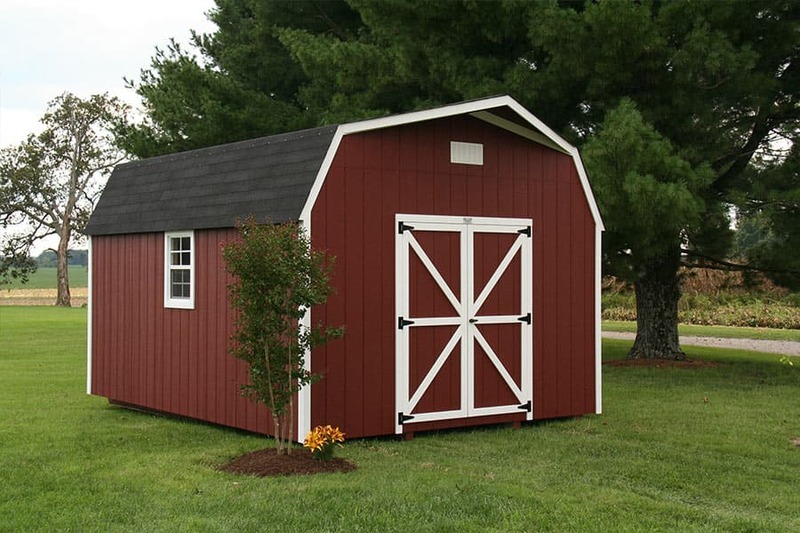 Now you can provide shelter even if you can’t afford a full-sized barn for your horse. Given a choice, the horse may still stand out in the rain, but at least it now has a choice! 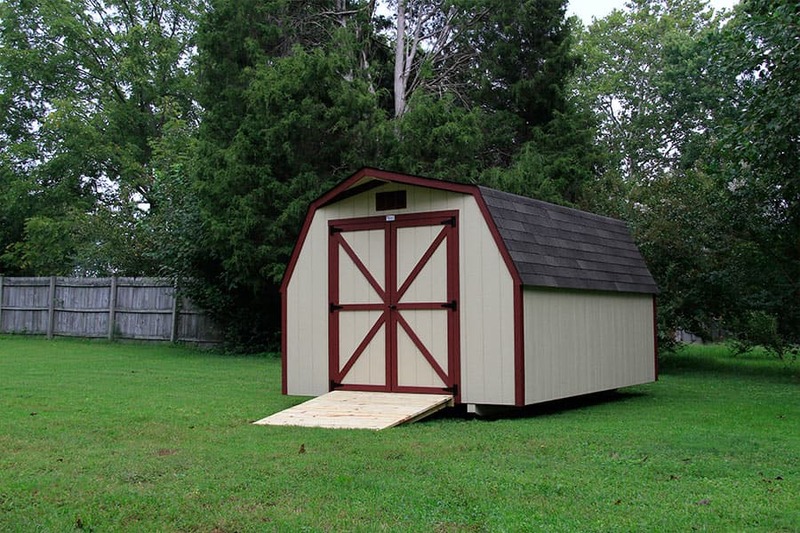 Dallas Goble, DVM, thinks quite highly of run-in sheds. “They offer better quality health for the horse than enclosed barns,” says the associate professor of surgery, College of Veterinary Medicine, University of Tennessee. Read the entire article at thehorse.com. 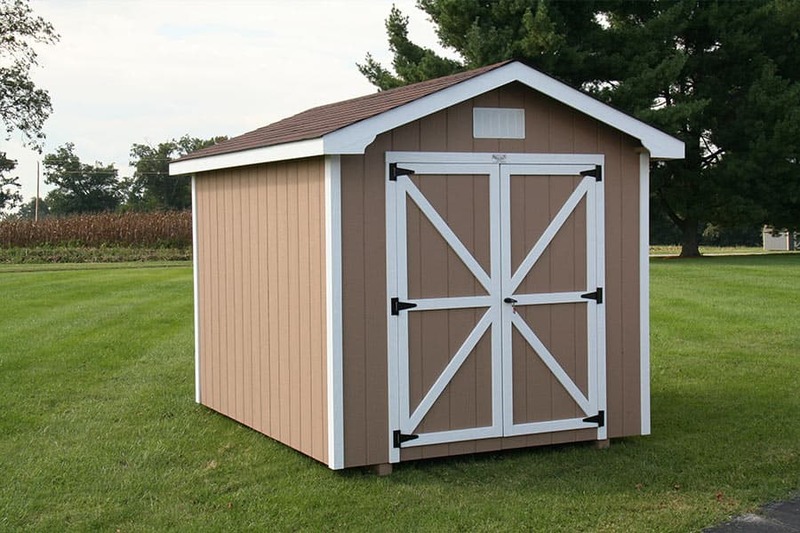 It contains many tips for placement of your run-in shed. As mentioned in the above article a normal, four walled barn can be a stuffy place. 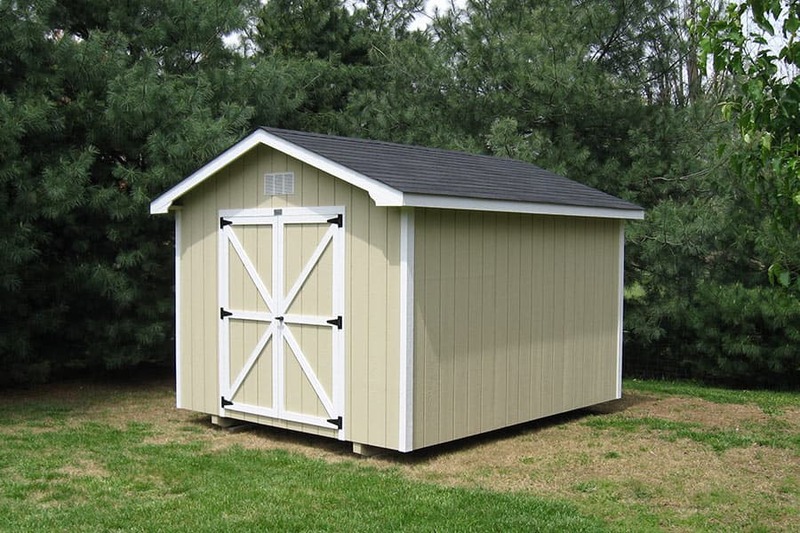 With a run-in shed your horse has free reign of the good old outdoors as well as a place of safety and shade available. Another health benefit, according to horsejournals.com, is the fact that freely moving in and out of shelter at will is said to aid digestion and allow joints to flex naturally rather than moving in circles inside a stall. “A horse is by choice one of the most free-ranging mammals, yet we seem insistent on forcing him to live in little boxes”, says an article on equisearch.com. Good point. Let your horse out of the box! Just think how you would feel penned up in a stall most of your life—your horses have feelings too! With a run-in shed they can kick their heels all day long but have shelter available when needed. No one likes to consider the possibility of a barn fire, but have you considered the horse trap that an enclosed horse barn could become? With a run-in shed there’s no risk of entrapment. There are times a horse may need veterinary treatment. Consider using your horse run-in shed to contain the horse for treatment. It may also be a good way to keep the other horses outside and out of your way while treating the sick horse. 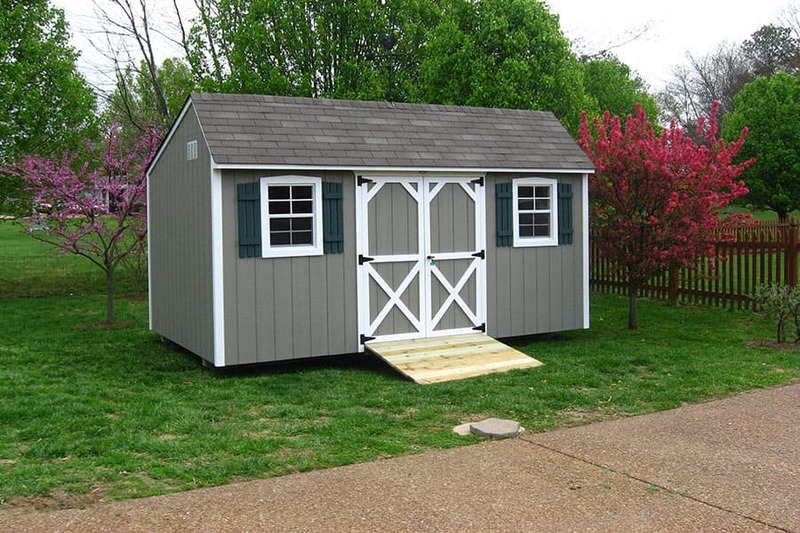 Going with a model like the one above will give you not only a run-in shed, but room to store supplies as well. What horse owner couldn’t use more tack storage space? Storage of feed is also a possibility, but make sure you do all you can to make it rodent proof. No, I don’t mean you want to bend your run-in shed into a pretzel shape. 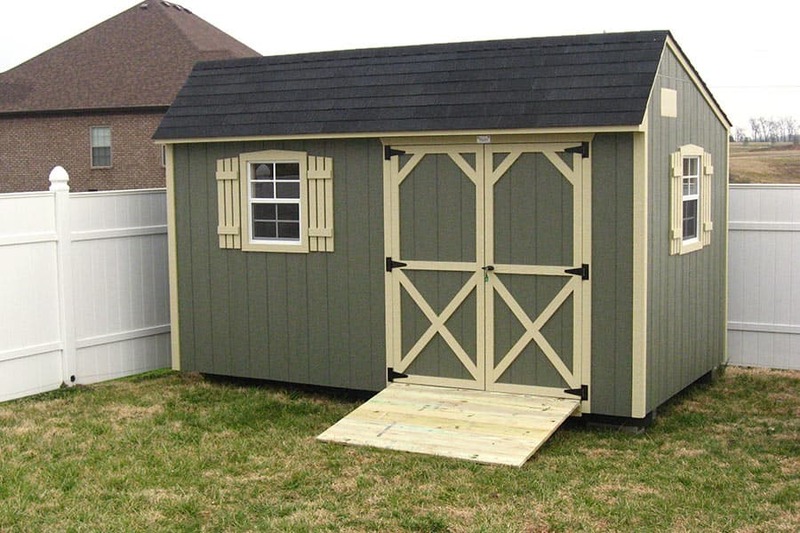 Here at Overholt & Sons we can make your shed as fancy or as simple as you want. 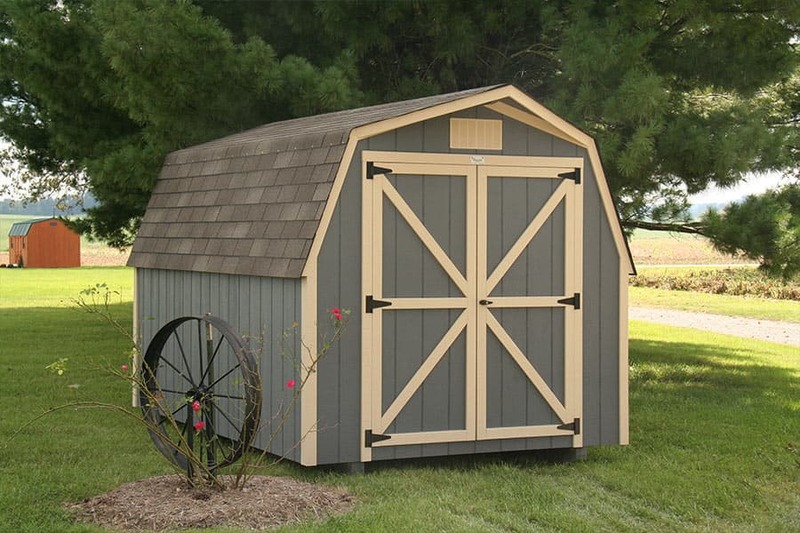 Like all our sheds, customization, color, and extras are up to you and your horse! None of us likes to spend more money than necessary. 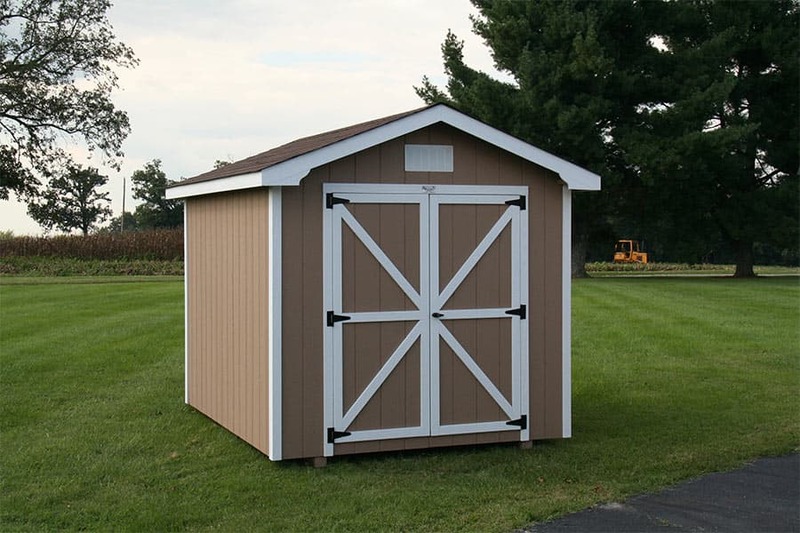 Here at Overholt Storage, you’ll get a quality horse run-in shed for less than you might think. Certainly far below the cost of a brand new horse barn. And your horse will have all the benefits listed above! What are you waiting for? 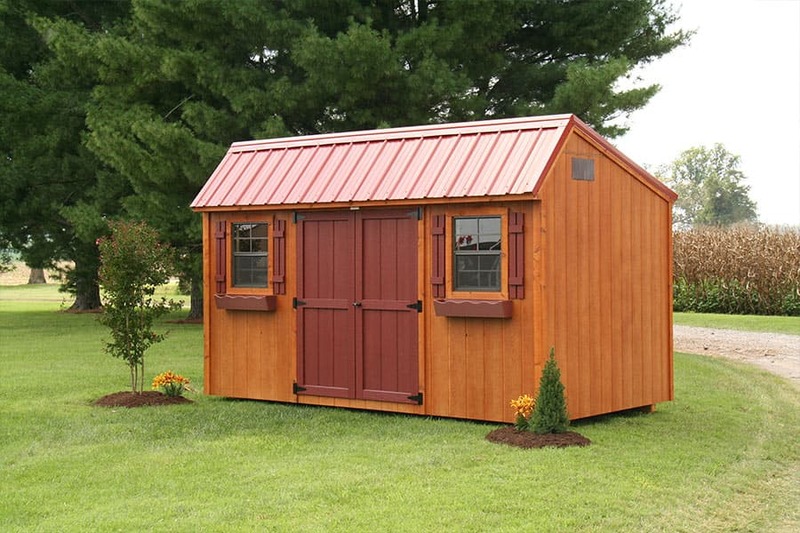 Now that we’ve counted the ways we invite you to look at the many shed color combinations here. Any of these are also available on one of our horse run-in sheds. 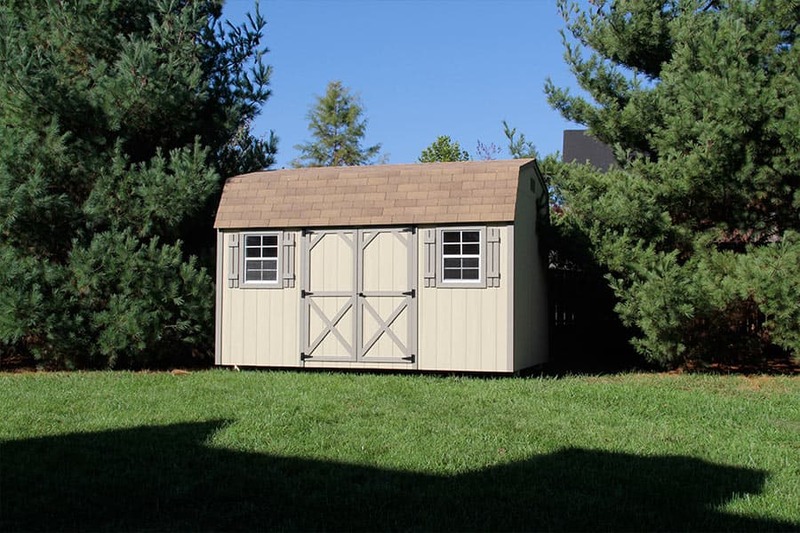 Then browse over our picture gallery of run-in shed designs and remember we can customize to your specifications. 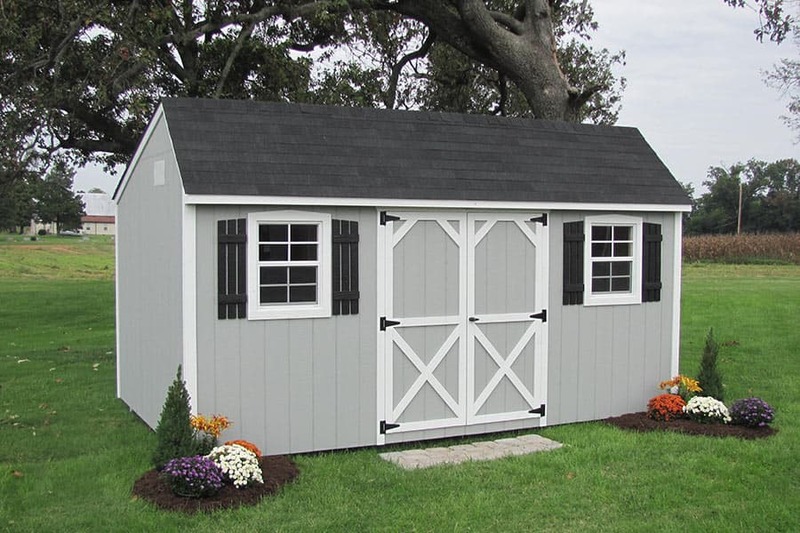 Give us a call or stop by and we’ll be glad to discuss the perfect horse run-in shed for you…and your horse!